Readings: Jer 7:23-28; Lk 11:14-23. 1/ First Reading: NAB Jeremiah 7:23 This rather is what I commanded them: Listen to my voice; then I will be your God and you shall be my people. Walk in all the ways that I command you, so that you may prosper. 24 But they obeyed not, nor did they pay heed. They walked in the hardness of their evil hearts and turned their backs, not their faces, to me. 25 From the day that your fathers left the land of Egypt even to this day, I have sent you untiringly all my servants the prophets. 26 Yet they have not obeyed me nor paid heed; they have stiffened their necks and done worse than their fathers. 27 When you speak all these words to them, they will not listen to you either; when you call to them, they will not answer you. 28 Say to them: This is the nation which does not listen to the voice of the LORD, its God, or take correction. Faithfulness has disappeared; the word itself is banished from their speech. 2/ Gospel: NAB Luke 11:14 He was driving out a demon (that was) mute, and when the demon had gone out, the mute person spoke and the crowds were amazed. 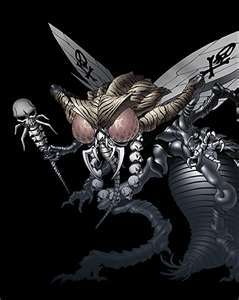 15 Some of them said, "By the power of Beelzebul, the prince of demons, he drives out demons." 16 Others, to test him, asked him for a sign from heaven. 17 But he knew their thoughts and said to them, "Every kingdom divided against itself will be laid waste and house will fall against house. 18 And if Satan is divided against himself, how will his kingdom stand? For you say that it is by Beelzebul that I drive out demons. 19 If I, then, drive out demons by Beelzebul, by whom do your own people drive them out? Therefore they will be your judges. 20 But if it is by the finger of God that (I) drive out demons, then the kingdom of God has come upon you. 21 When a strong man fully armed guards his palace, his possessions are safe. 22 But when one stronger than he attacks and overcomes him, he takes away the armor on which he relied and distributes the spoils. 23 Whoever is not with me is against me, and whoever does not gather with me scatters. I. THEME: Listening to God’s word is the condition to achieve happiness. When facing God’s word, people can have three main attitudes. Firstly, they think it is right and positively do what God commands. Secondly, they are indifferent because it doesn’t have any relation to their life. Lastly, they criticize it as impossible to do or find a reason for not doing it. Today readings focus on the last reaction, people not only disobey God’s word but also find fault in it so that they don’t have to follow. In the first reading, people didn’t listen to God’s voice, they also ignored the prophet Jeremiah whom God sent to them. They found many reasons to condemn him to death. In the Gospel, after witnessing Jesus’ healing of a mute devil, some still didn’t believe, but also condemned him, “By the power of Beelzebul, the prince of demons, he drives out demons.” In other words, they implied that Jesus was a devil’s companion so that people shall not believe in him. 1/ Reading I: This is the nation which does not listen to the voice of the Lord, or take correction. God also warned Jeremiah about people’s stubbornness so that he knew God patiently corrected people and he shall not be surprised when he experiences the same thing: “When you speak all these words to them, they will not listen to you either; when you call to them, they will not answer you.Say to them: This is the nation which does not listen to the voice of the Lord, its God, or take correction. Faithfulness has disappeared; the word itself is banished from their speech.” When people are so insistent in their way, sufferings and death can’t be avoided. (1) The crowd was amazed. (2) Some of them criticized him: "By the power of Beelzebul, the prince of demons, he drives out demons." (3) Others wanted to test him, asked him for a sign from heaven. The devils have their power on human beings as long as they are in this world. Their kingdom is safe when Jesus didn’t come yet; but when Jesus’ reign shall come, everything shall change. Jesus’ power is stronger than theirs so that he could expel them from people as in today report. He can render ineffective all their weapons to govern people such as pride, greed, disobedience, etc. Once people determine to follow God, the devil shall have no power on them; the devil has power only on those who want to live with them. 2.3/ None can keep a neutral attitude in life: The Jewish tradition believes human life is a battlefield between God’s and the devil’s power, between the children of light and the children of darkness. In the fighting of this life, human beings can’t have the neutral attitude: they must choose between God and the devil, to follow the way of light or the way of darkness, as Jesus declared today: "Whoever is not with me is against me, and whoever does not gather with me scatters.” For examples, people must choose either positively to improve their life or negatively to live in their bad habits. They also can’t choose to serve both God and the mammon. - Listening to God’s word is the first requirement to be happy. - We need to have a positive attitude to recognize and to do useful things for our life. We need to avoid the negative attitude of criticizing and doubting others’ good intention. - If we don’t co-operate with God, we co-operate with the devil. We can’t have a neutral attitude or serve both masters, God and the mammon, in our life.